If you really decided to install a CCTV system in your home or office, you will get lots of choices from the wide range of CCTV systems. The Major issue you were facing with is which type of camera you should use. In this modern age, the usage of analog cameras are fading away. However, if you are looking for a cost-effective yet powerful CCTV solution, you should definitely choose Analog cameras. Samsung Hanwha Techwin is really a big brand which provides Analog Cameras for your CCTV Systems. This itself shows that analog cameras still have their demand on the market. With the wide range of models, you can choose the best one depending on your need. 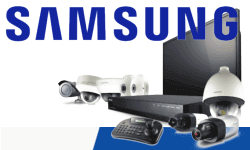 Samsung Hanwha Techwin is a well-established manufacturers of CCTV surveillance products. Their innovative technologies are always a step ahead from their competitors. CCTV Analog cameras from Samsung is comes with variety of features and functions, their built quality is also noticeable. their distinctive approach to the product creation is showing their passion to this industry. Samsung analog Camera is a worth choice for your CCTV Surveillance needs. Samsung analog cameras provide wide-range of high-resolution cameras to meet your surveillance needs. It comes in varied forms and the Samsung Hanwha Techwin presents the new ‘beyond series’ to the user to offer a complete analog CCTV solutions. The highest image quality and resolution, brilliant backlight compensation and various user-friendly functions takes the surveillance to a new level. The Samsung analog cameras can be classified into different levels and it is composed of Box and one body camera, IR camera, Dome camera, IR Dome camera, Vandal-Proof Dome Camera, Zoom Camera, PTZ Dome cameras, PTZ Cameras. The series of Analog cameras delivers the user with HD quality (1280H) total analog CCTV solution. The cameras depending on the models render the features of Day/Night operation, defog, motion exposure and other high-quality features. With the Digital Signal processors, Samsung Hanwha Techwin box type cameras deliver industry leading performance and brilliant features across the product range. The different models of the bullet cameras from Samsung Techwin combine to offer the wide range of functionalities for almost all levels of security applications. The most demanded cameras from the series of Samsung analog cameras are embedded with a wide variety of functions and features. It can be well used for the indoor applications and resisting the vandalism. These cameras are perfect for a wide range of applications. It has been featured with the latest technology from Samsung Hanwha Techwin that provides a high-resolution recording. PTZ (Pan/Tilt/Zoom) cameras are the perfect choice for applications that require the capability to adjust to the specific area of the environment. The cameras are designed to be adaptable to any type of environment. CCTV Dubai is a well established CCTV Solution providers in Dubai, UAE. Our services are operational in the regions of Ras-Al-Khaimah, Abu Dhabi, Umm Al Quwain, Sharjah, Umm Al Quwain, Al Ain and Ajman. CCTV Surveillance is becoming an inevitable part of every organization who wants to keep their premises safe and secure from external threats as well as protect the employees from any sort of harassment and also to have maximum productivity in the work environment. If you are looking for a flawless CCTV System in Dubai, With the help of Samsung analog camera we are able to provide that. Contact Us for any Support for CCTV sales, Installation and maintenance.